Teachers have class 2 hours each morning, and then are asked to help set up, serve, and clean up after a meal. 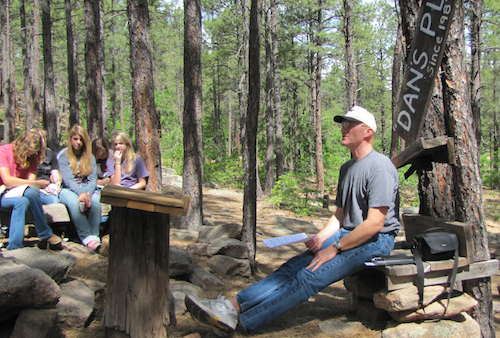 We try to place teachers with campers from their church or area so that contact can carry on beyond camp. We have around 12-14 teachers each session. We aim for high school classes, which are made up of both boys and girls, to be taught by a couple. MUST BE RETURNED BY FEBRUARY 15TH BY RETURNING AND NEW TEACHERS!! !